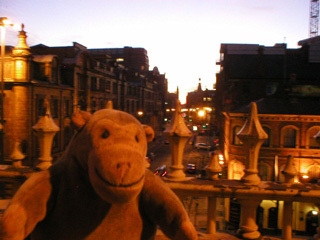 "Let's pop over there to see how mixed the media is"
Leaving Piccadilly station Mr Monkey noticed that he could look down Whitworth Street from the bus turning circle at the top of Station Approach, so he did. 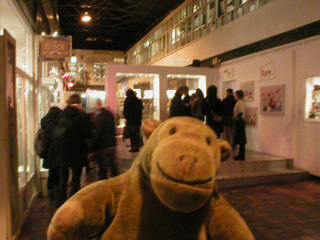 He scampered through Manchester and soon arrived at the Craft and Design Centre, where the Raw exhibits were nestling in the display cases. You can read about the exhibition at the Manchester Craft and Design Centre website.